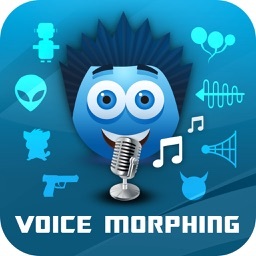 VOTED BEST VOICE MORPHING APP OF THE STORE ! MORE THAN 1 MILLION USERS ALL OVER THE WORLD ! JOIN THEM AND SHARE THE FUN ! CHANGE YOUR VOICE INTO SOMETHING MORE FUN ! 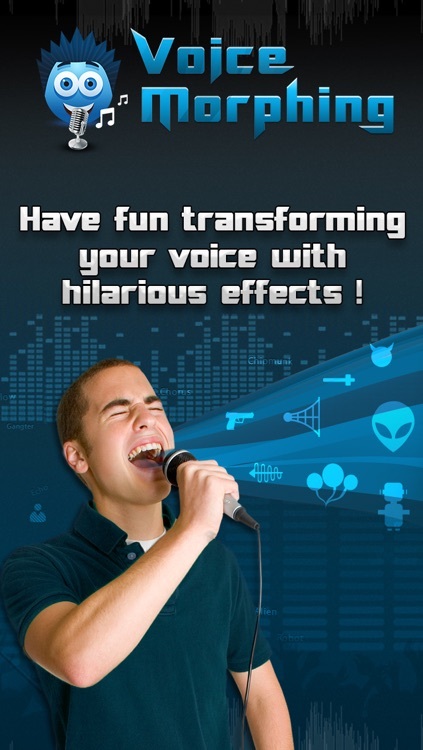 TRANSFORM YOUR VOICE WITH HILARIOUS EFFECTS: helium, robot, gangster, alien and more AND HAVE FUN WITH ALL YOUR FRIENDS. 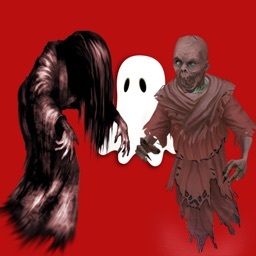 Be careful, this app is highly addictive. 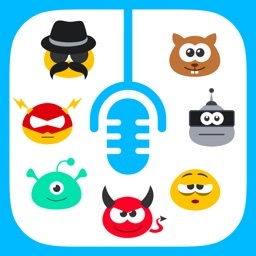 Find out what your voice would sound like if you inhaled helium, speak like a futuristic robot or like a threatening gangster, give the impression that a chipmunk chorus repeats everything you say...all of this is possible with Voice Morphing. 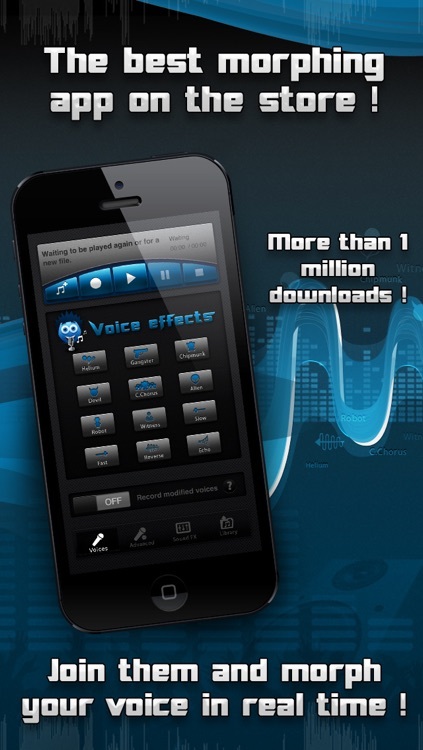 And there is more : your voice can be modified in unlimited ways with advanced and sound fx settings. 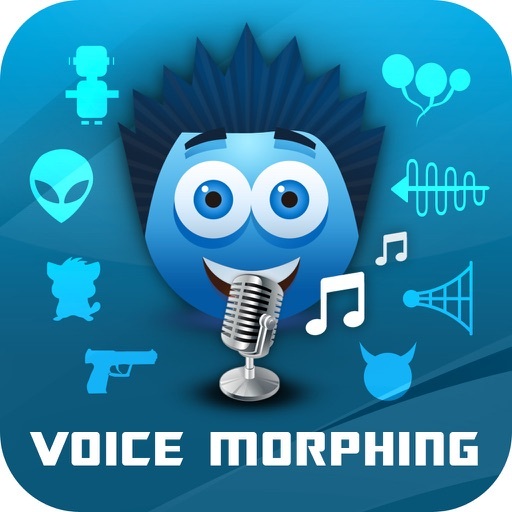 Say something into your iPhone/iPod or record one of your friends, Voice Morphing will transform your recording into something fun or ridiculous. Voice Morphing works in real time, you can change the effect applied to your voice instantly to any other while playing, no waiting for the effect to be applied. 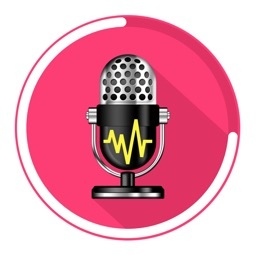 Even better, you can record your voice while it is modified to share it by email, share it on facebook or play it back later. Since everyone has a different voice, you can modify the morpher's settings to make them perfectly fit your voice. You will never get bored of this app, guaranteed. - 12 pre-set filters to have fun as soon as you start the app. 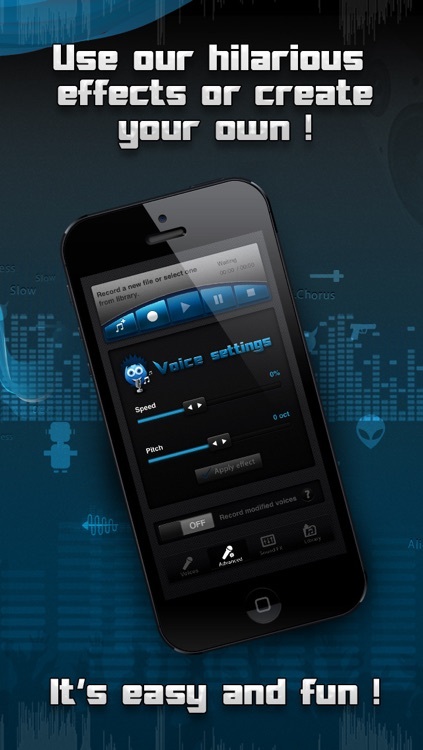 - Advanced mode to modify your voice with your own settings. 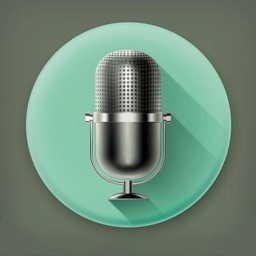 - Sound FX mode to add crazy effects to your voice. - Real time morphing, no waiting for the file to be modified. - You can save your modified voices and share them by email. 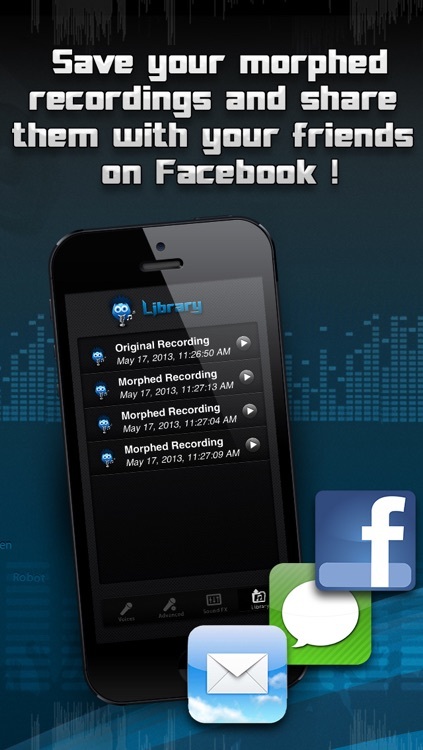 - A library with all your recordings : original and modified. - 3 themes for the user interface. 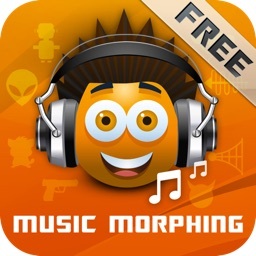 - A LOT OF LAUGHS HAVE FUN MORPHING YOUR VOICE !